The officials of the Australian National Placenames Survey (ANPS) recently announced the passing of Australian toponymist, William Noble, the former editor of the ANPS Bulletin. Among his many publications is the New Holland Dictionary of Names. This reference offers detailed information on thousands of personal names in Australian use. William, or “Bill” as he was most often called, is survived by his wife and their three sons. 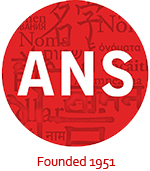 Bill was the editor of the ANPS Bulletin, the predecessor of Placenames Australia, and designed the original masthead. 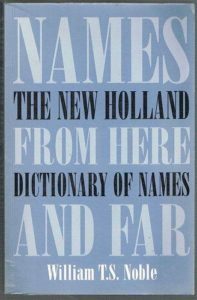 Bill’s work in toponymy was just one aspect of his wider interest in name studies (onomastics), and in 2003 he published Names from Here and Far, the New Holland Dictionary of Names. The dictionary records and explains thousands of personal names in Australian use and is a celebration of Australia’s ‘glorious mix of names from over 150 cultures’.